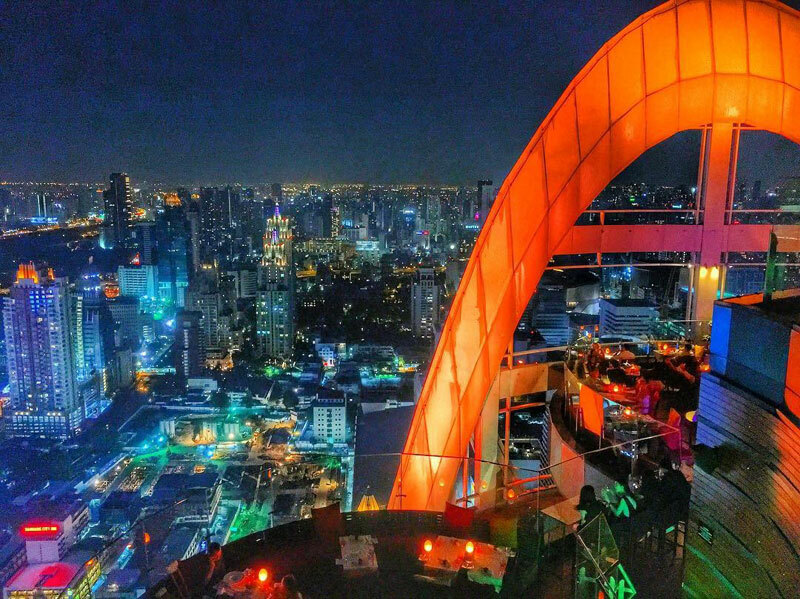 Take your travels to the next level by seeing Bangkok in a completely new light. 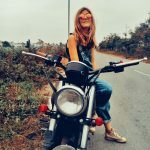 Feeling on top of the world while you travel truly doesn’t have to break the bank! 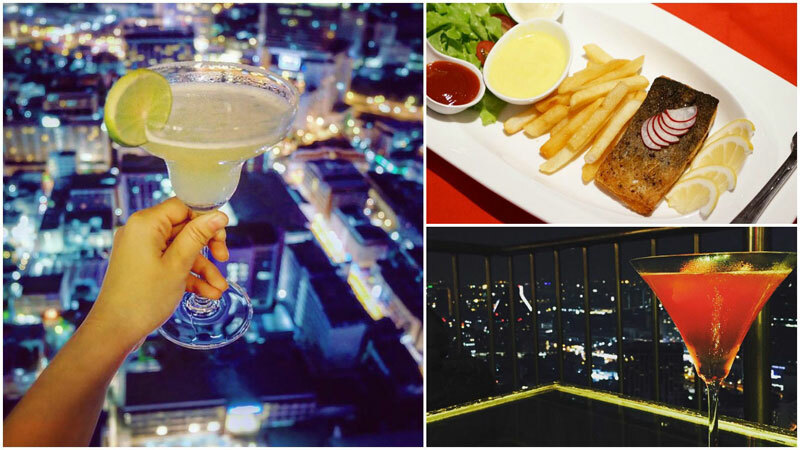 We went out to find Bangkok’s best kept rooftop bar/restaurant secrets. 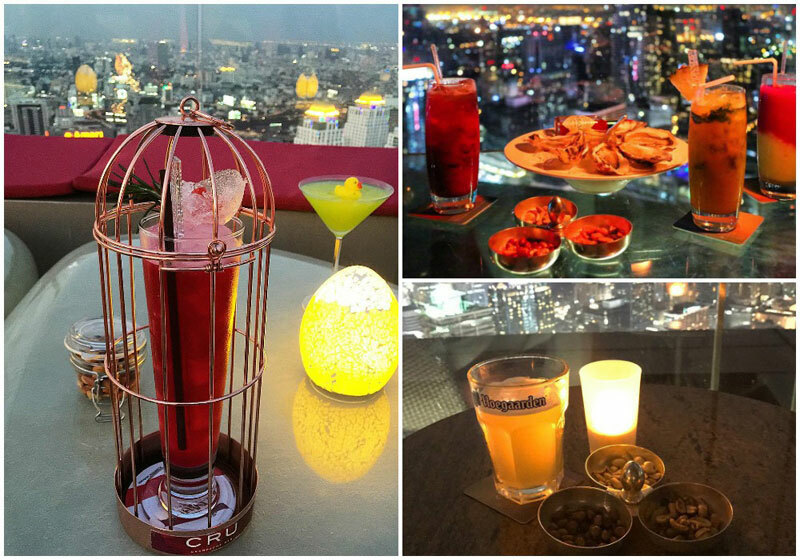 Somewhere so #instaworthy that you can get live music, great drinks and outstanding views all in the same place. 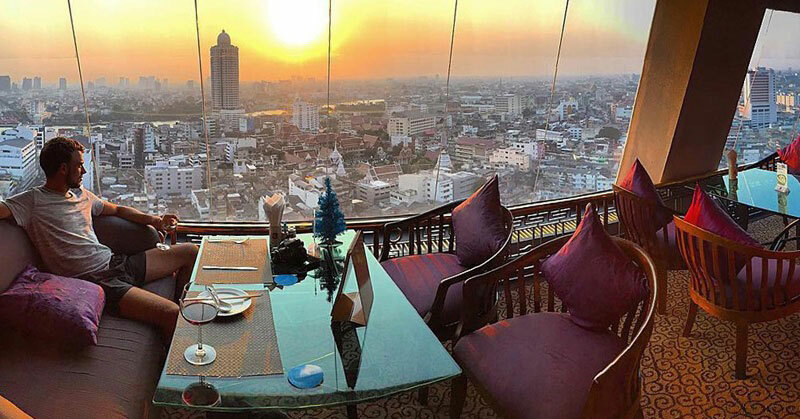 15 romantic restaurants with a view to dine in at Bangkok! 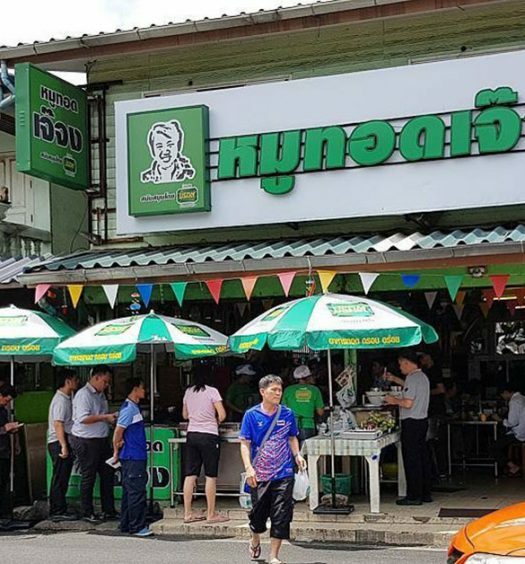 Man, did Bangkok deliver. 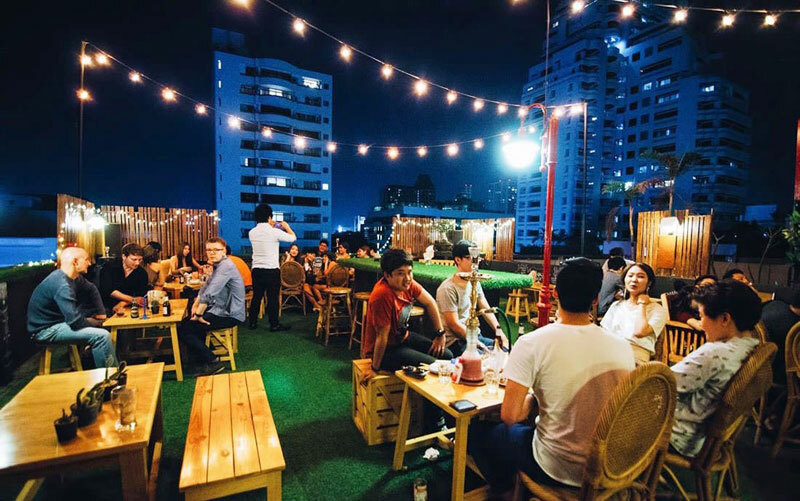 We found the best 10 rooftop restaurants and bars in Bangkok that might be secret local watering holes you’ve never even heard of! Warning: if you are scared of heights these mile high bars may be scary, but the views will be well worth it. 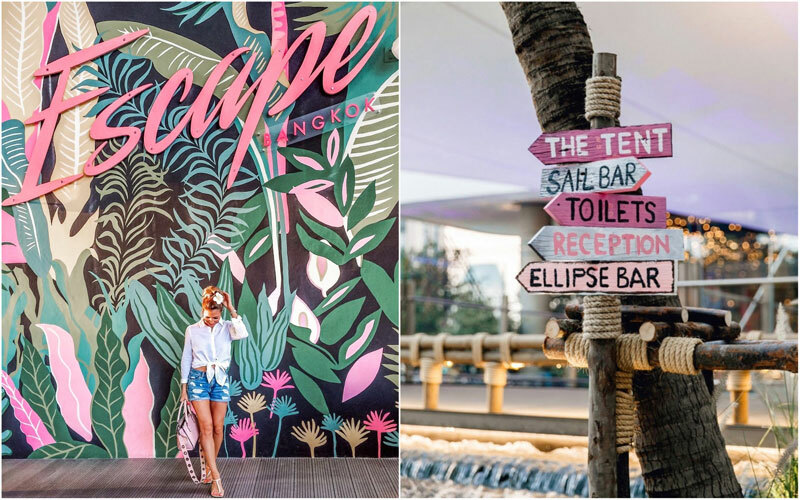 True to its name, Escape aims to transport you to a groovy realm. And they do it oh-so-well. 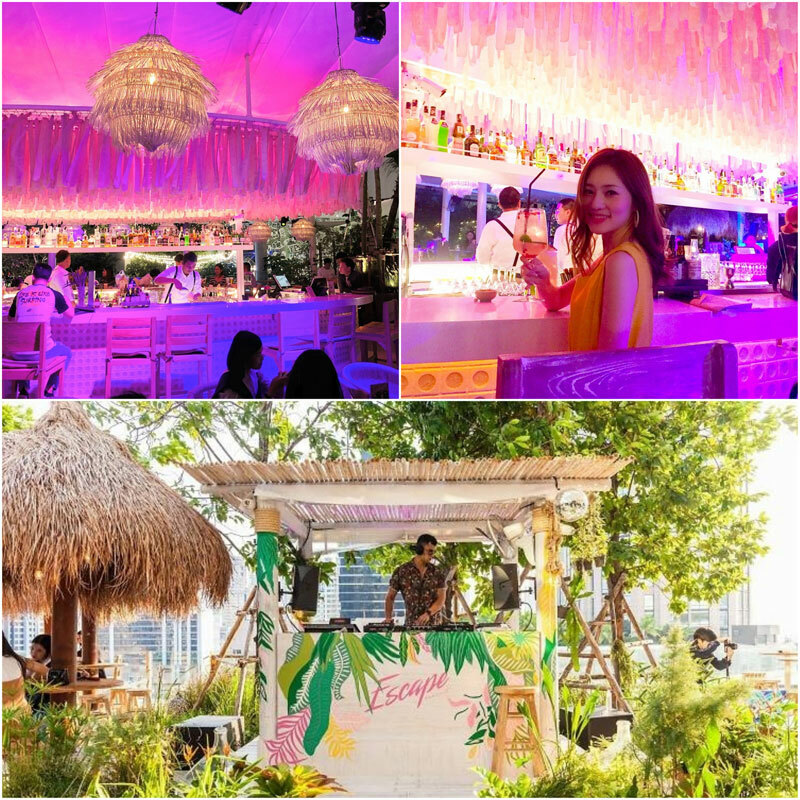 It looks like a beach bar and feels like a bit of paradise, and the open space gives it that light and airy t.r.o.p.i.c.a.l vibe. There are four different areas, each with their own unique oceanic feeling. 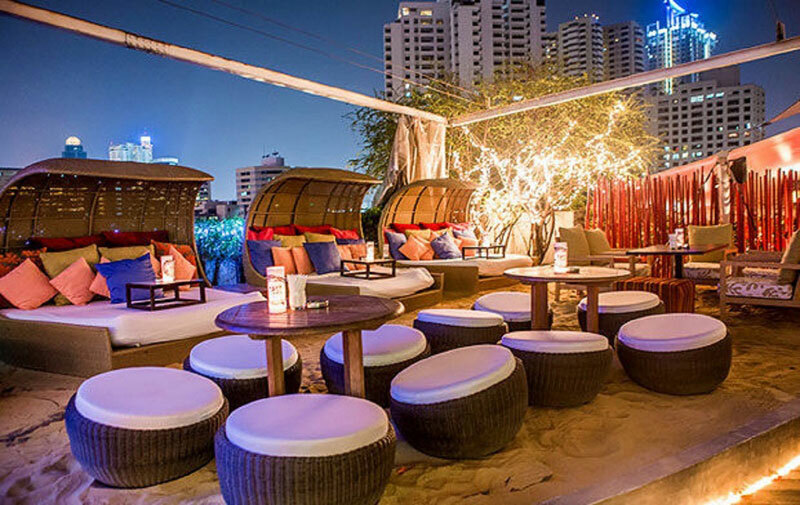 Slink into those easy-breezy beach vibes down at The Sail Bar as you unwind on sofa beds, with straw lanterns above and bamboo in its bountiful. You’ll find the International Craft Beer here! The Ellipse Bar is the heart of Escape and this is where things get funky later in the eve. Watch the barman spin up delicious handcrafted cocktails, or sip on fine wine. Come dine and relax in The Tent, with its rich and warm interiors. 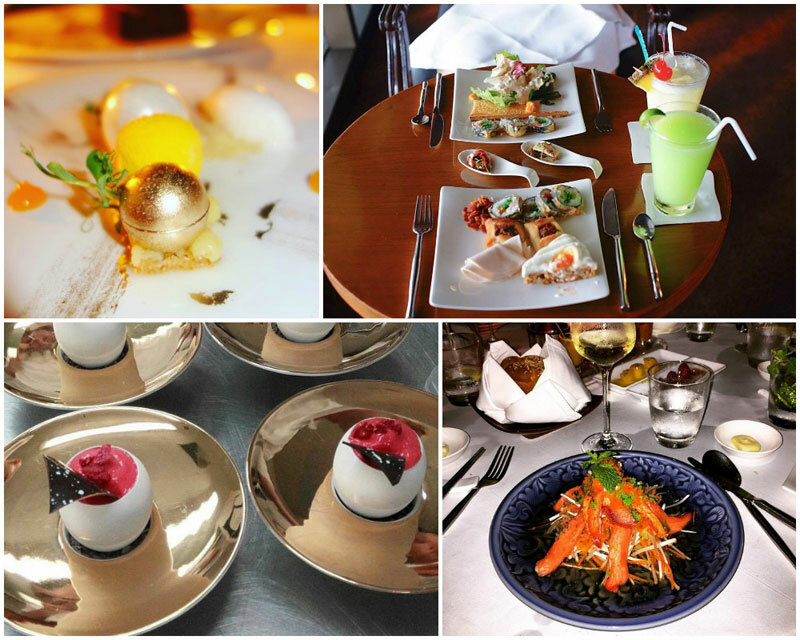 Looking for a gourmet main or decadent dessert? You’re in the right place. The Terrace is if you’re seeking a bit of seclusion. Want to go further out to sea? They offer a trio of curtained cabanas – if privacy is what you’re after. Marble Bar? As in a bar made from marble? Yes ladies and gentlemen, that would be correct. 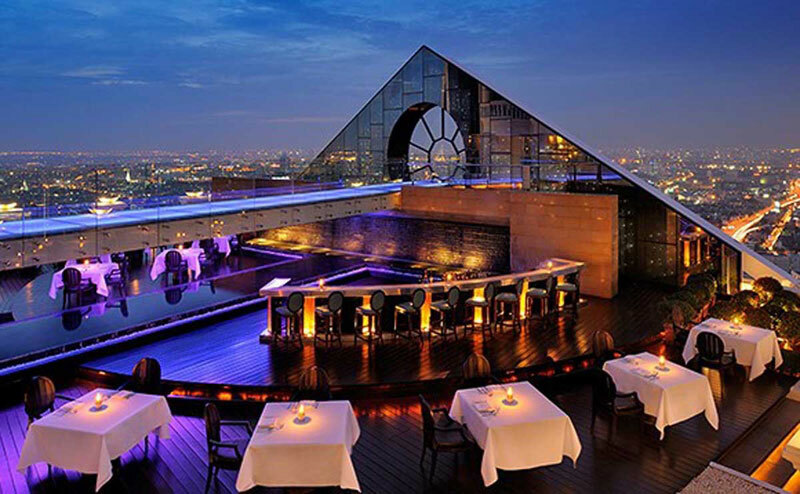 But it’s not only the bar that’s been slabbed to ooze elegance and sophistication, but the entire rooftop too! But before we even get to the bar, we have to talk about the floor: Definitely the most standout feature of this bar (as if the marble everything ain’t enough) is it’s amazing glass hole in the floor that overlooks the city below. Epic!!! It’s got a really upmarket and elegant feel to it, so come dressed to impress. 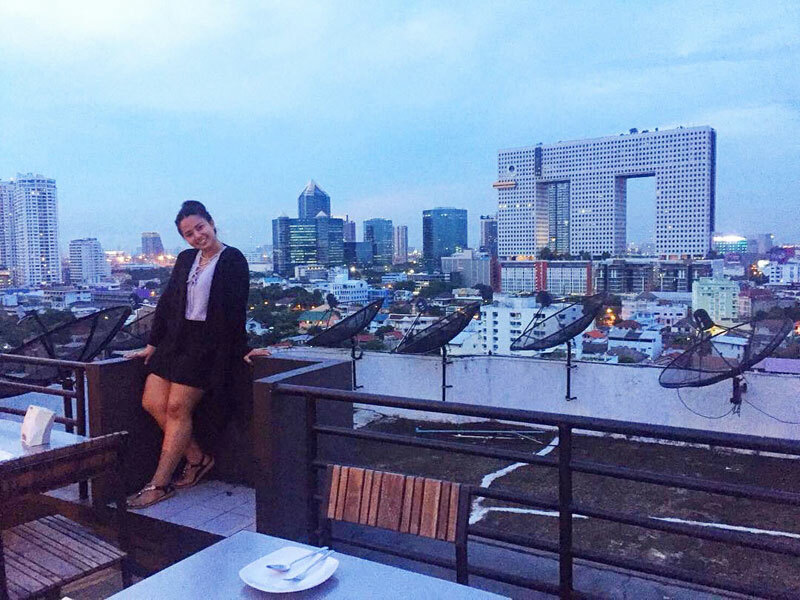 Being on the 28th floor, naturally, it’s views are there to wow – oh beautiful Bangkok at sunset. 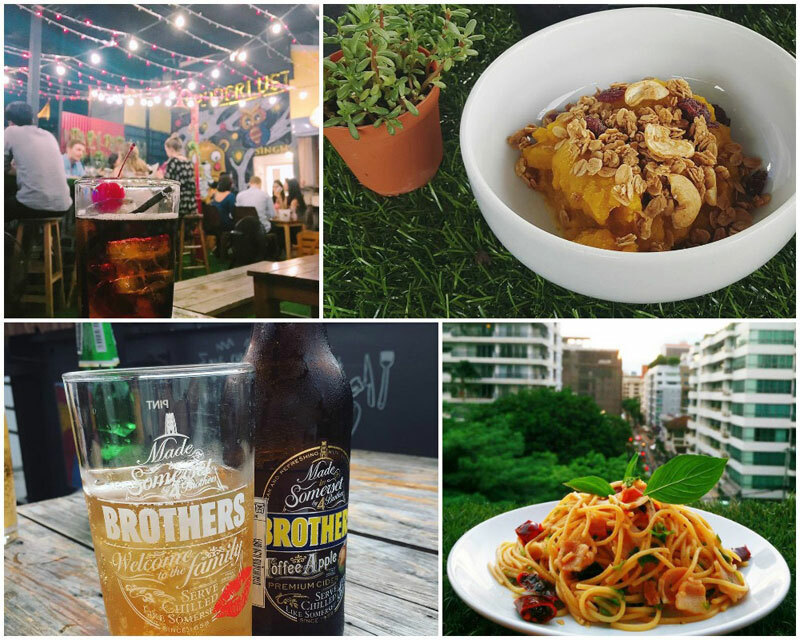 On that note, try their eastern-inspired cocktails and craft beers! 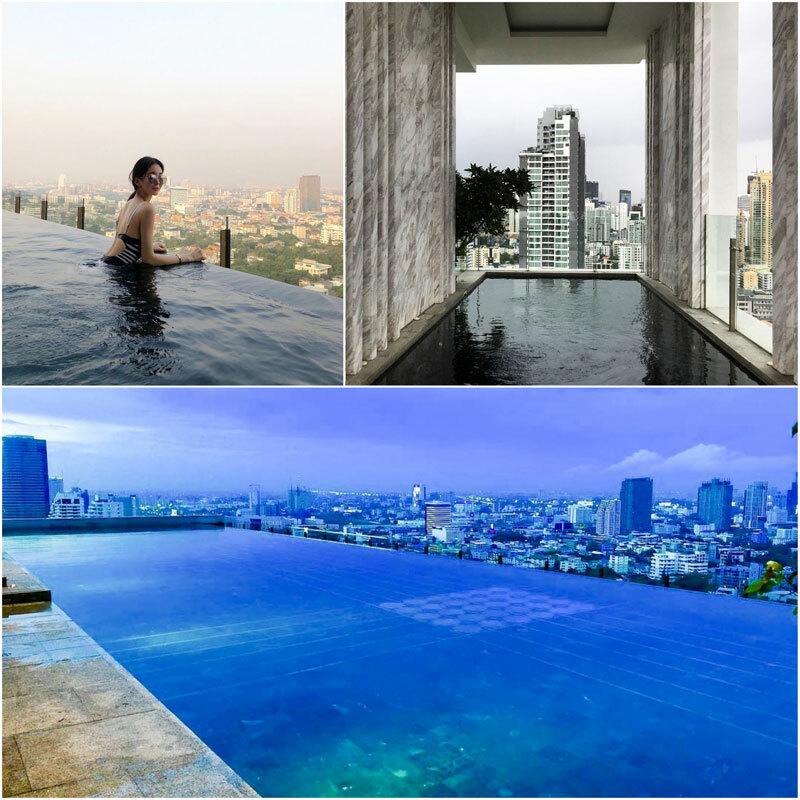 Oh, and did we mention the infinity pool? 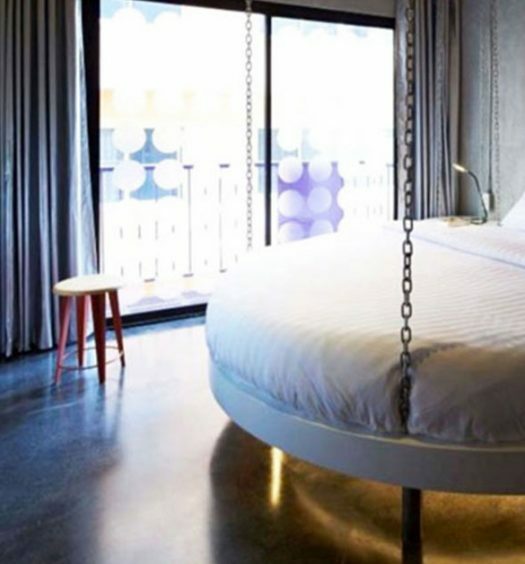 Looking to unwind and escape the urban heat? 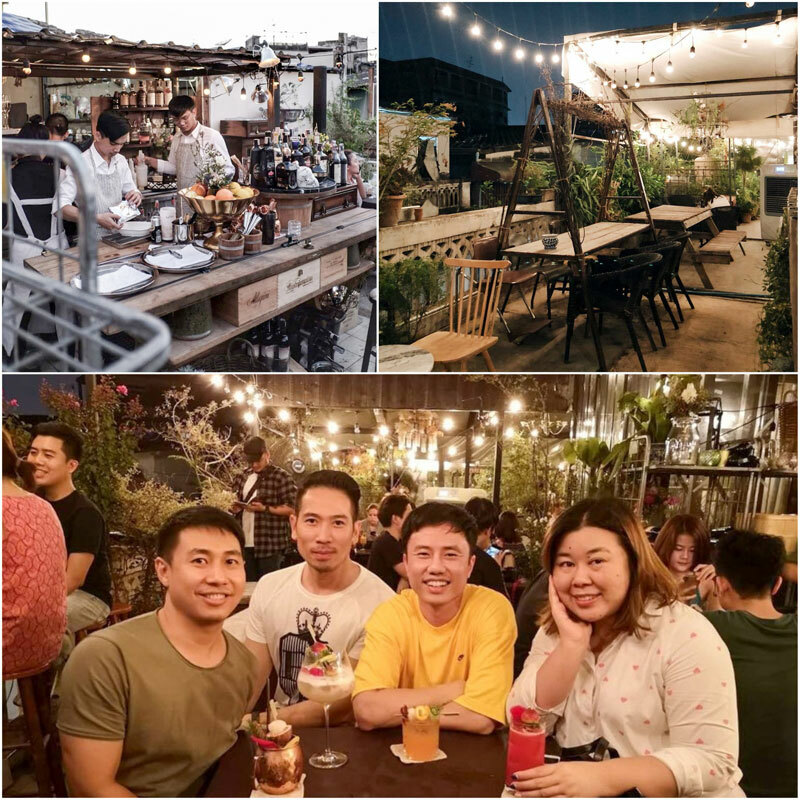 Step into this cosy vintage florist/rooftop bar and let your body relax among the flowers and florals of green. 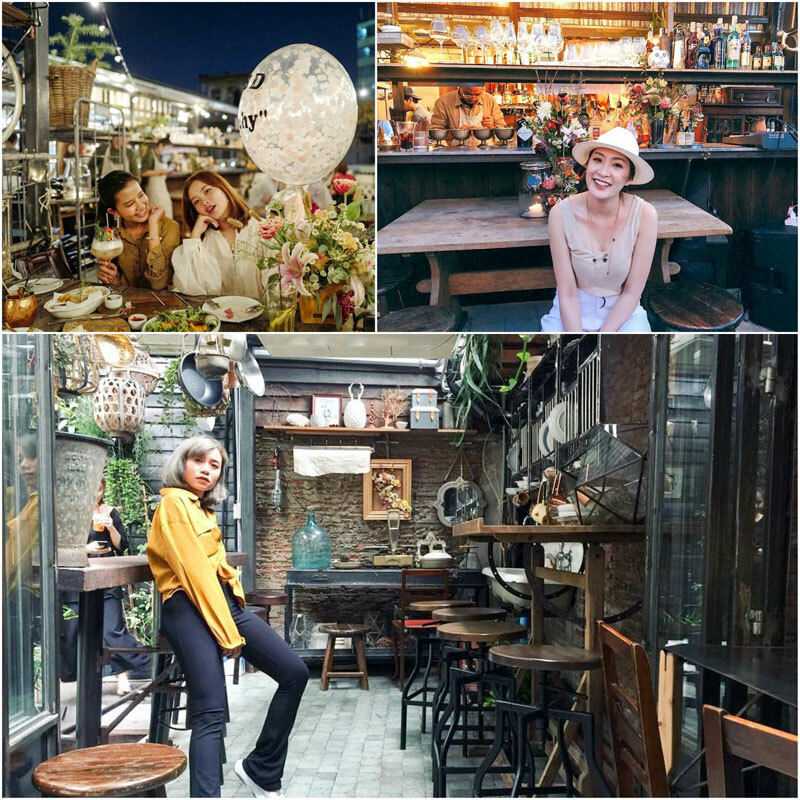 With its reworked interiors and old-world charms, this is THE spot to snap up that Instragram shot. Think ferns and flora…everywhere! The space is two stories, with the bottom half dedicated to the florist. 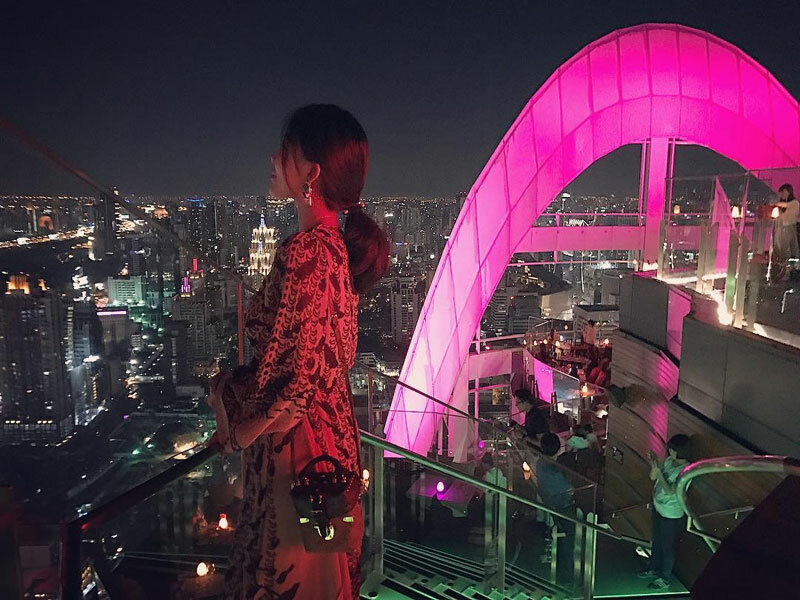 Now the second half is where you’ll find it’s beautiful glass rooftop bar, which feels like a magical secret garden of some sorts. Nightfall and the fairy lights are out. Take a sip of their Lychee fizz cocktail. Or perhaps a glass of vino? If you’re hungry, there’s good food to be had, such as the Kobe Beef Tataki (380 Baht). So unique and beautiful in its set-up, make sure your phone is fully charged, because on this one, and I can personally guarantee, you won’t leave without at least, like, a million photos. 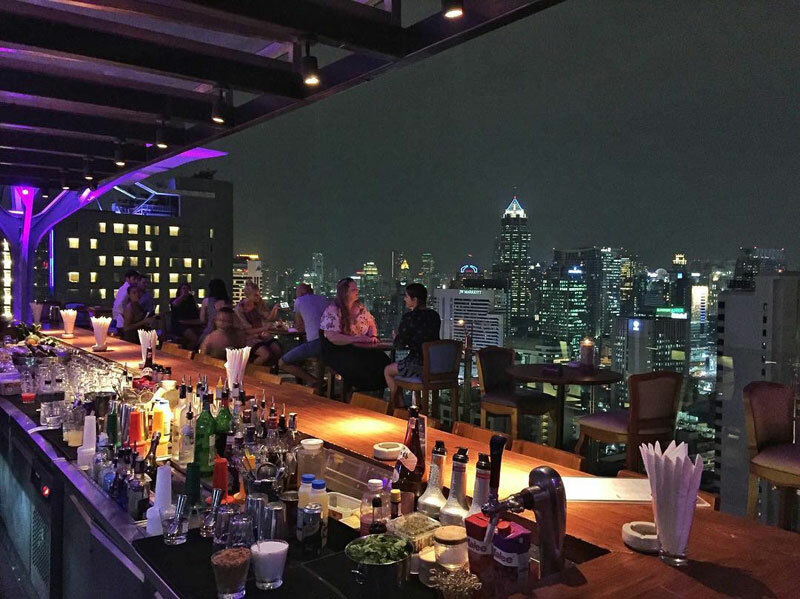 Take the lift to the 33rd floor of the Fraser Suites Sukhumvit in Soi 11 to this urban bar and restaurant. 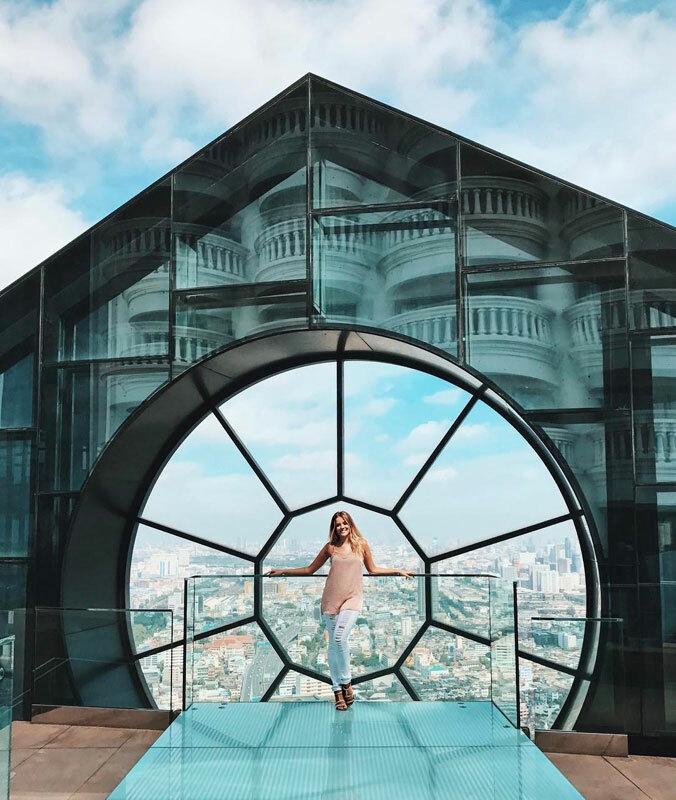 Don’t miss this experience, it is one of the best in Bangkok. Small staircases take you up levels that are made to look like a forest, while the next turn takes you into an ultramodern concrete finished foyer. 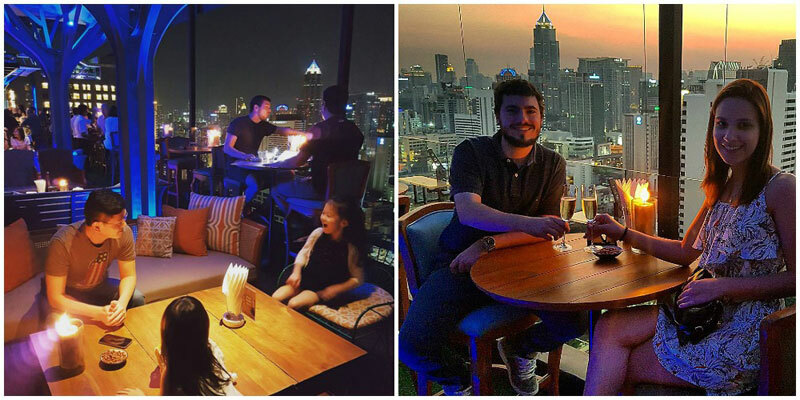 The bar has unobstructed views of the city that lights up at night, a true sight to behold. 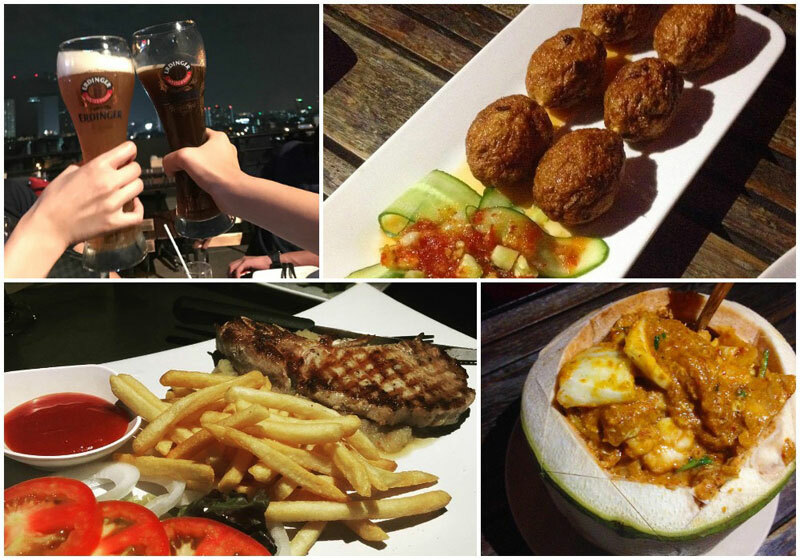 The food is mouthwatering and the drinks are not overly expensive. 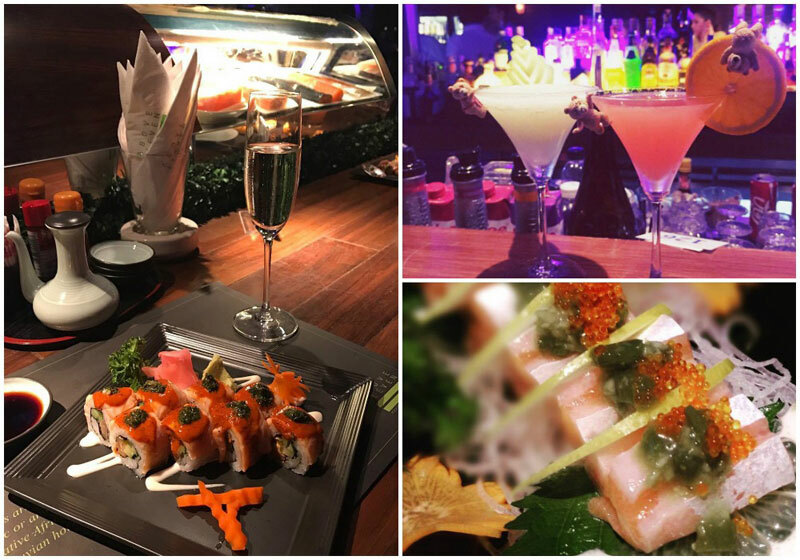 The dishes range from gourmet sushi to lamb and duck servings – there is something for everyone at this bar. 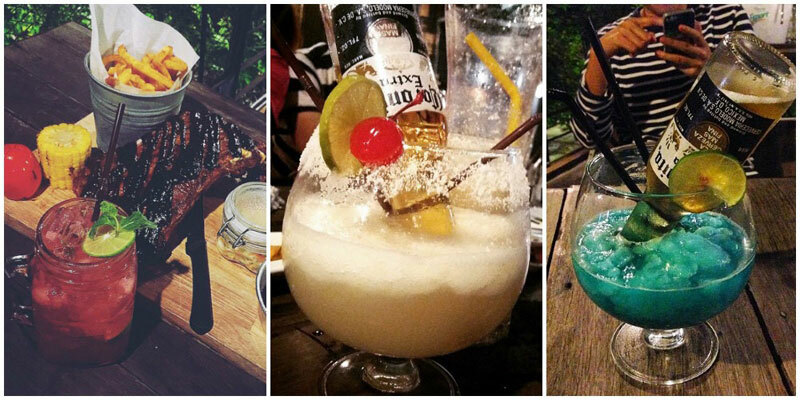 Go and introduce yourself to the waitresses, we almost guarantee you will want to come here again and again! Make your way up to the 25th floor of this hotel and you will find a unique moving restaurant. Watch your step as you move onto the slow moving platform that rotates in a circle. 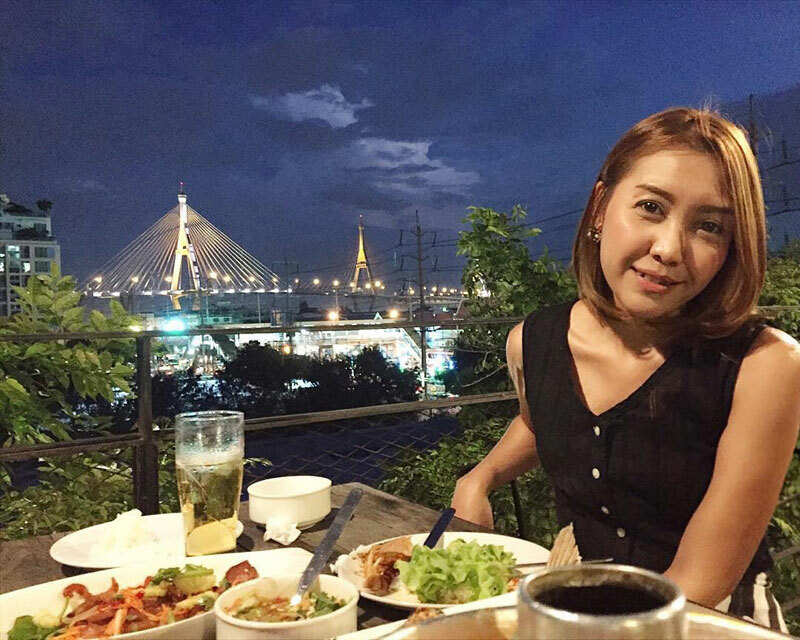 Doesn’t matter which seat you grab as the whole restaurant spins offering ever changing views of the whole city and even the Chao Phraya River. This restaurant is more upscale, but don’t confuse that with expensive. 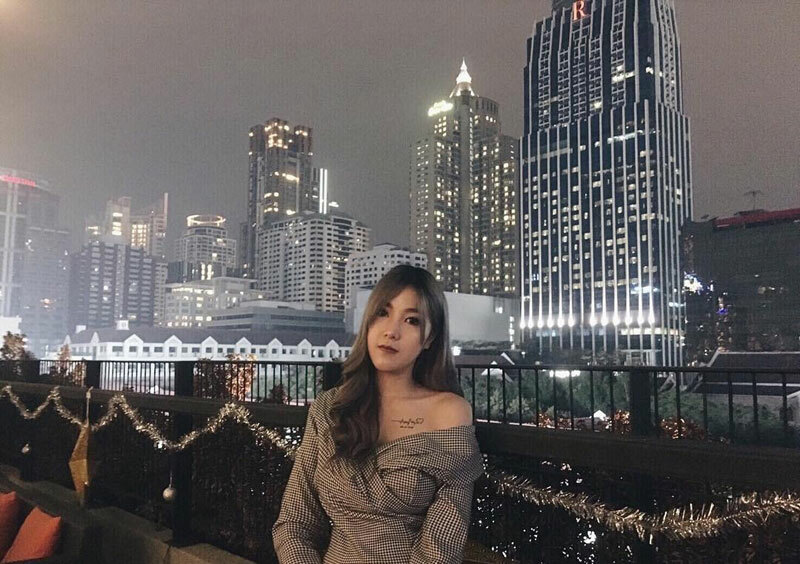 This is a great place to try a variety of different international cuisine and some fancy cocktails. 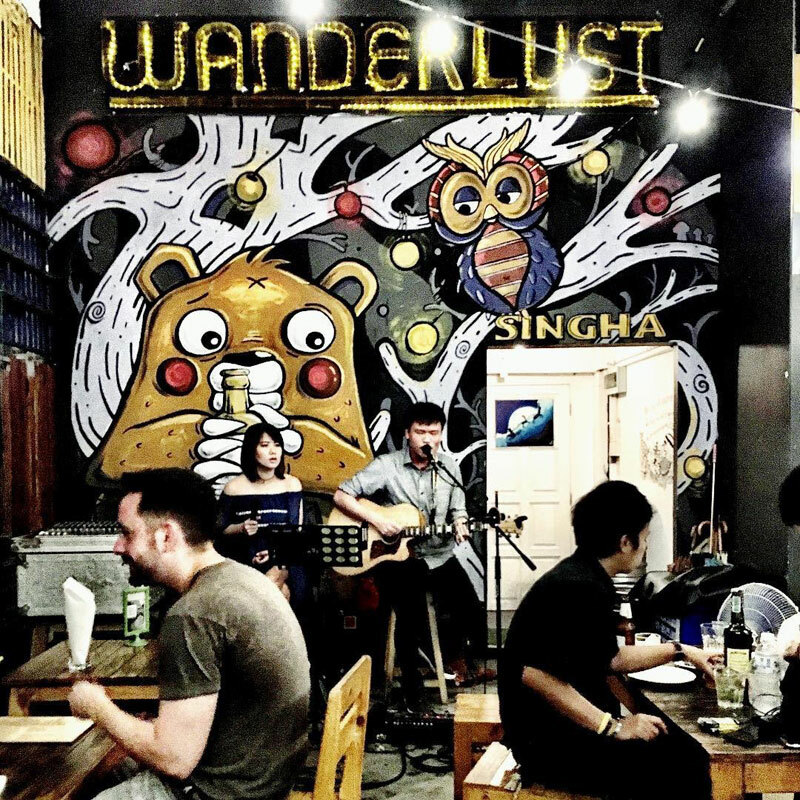 Live music is performed every evening. 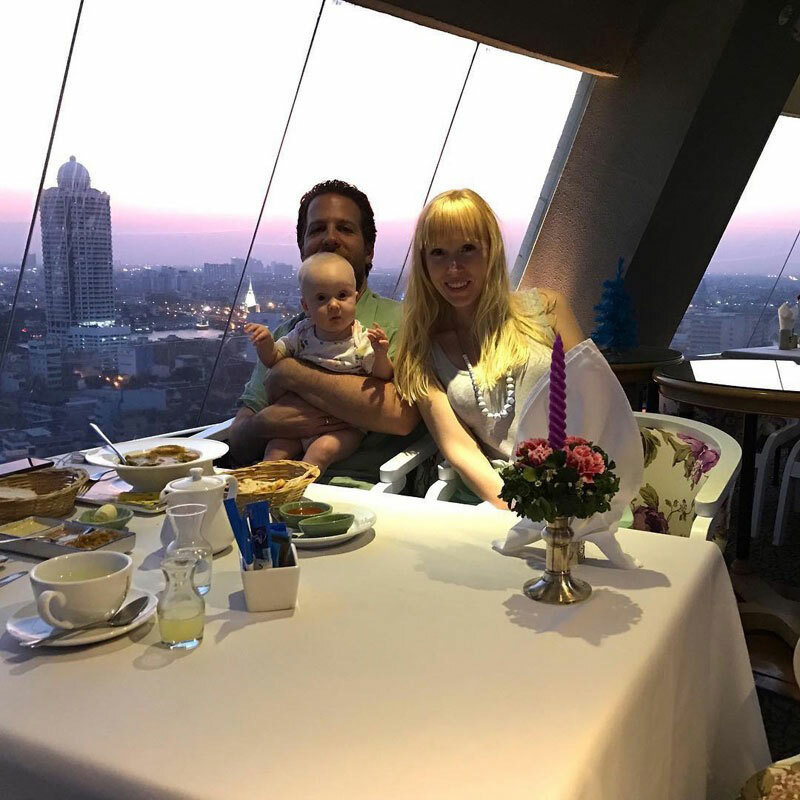 Ideal for business dinners, small gatherings or simply to impress your partner with a romantic meal for two with a 360-degree panoramic view of the city and river! 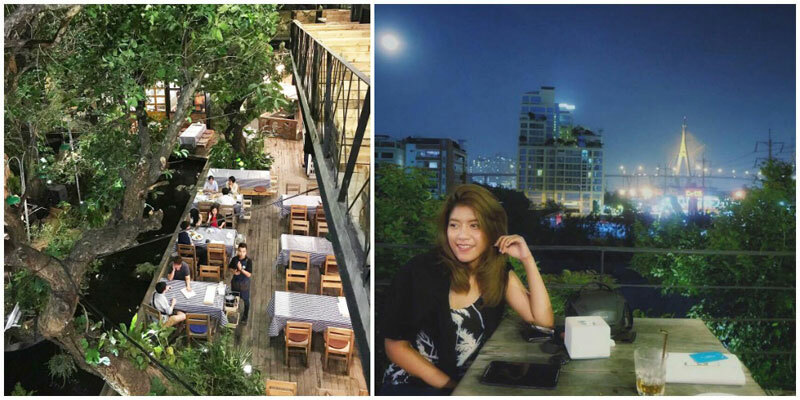 Treat your partner to a delicious meal over some live music at this trendy bar/restaurant. Be sure to try the calamari. 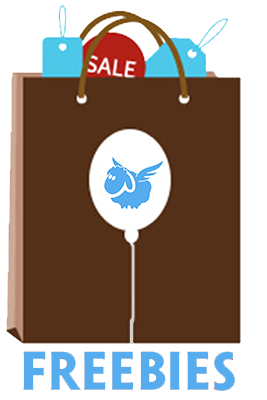 At less than 100 Baht, it is a great choice! Prepare for this bar to turn the lights down as the night goes on, and watch it transform into a nightclub you will never forget. With beds on the patio take in the scenery as you enjoy a cocktail in bed. Otherwise, go inside and enjoy the upbeat vibes of this ultra modern setting. With red and white colours, feel free to show off your favorite outfits here. 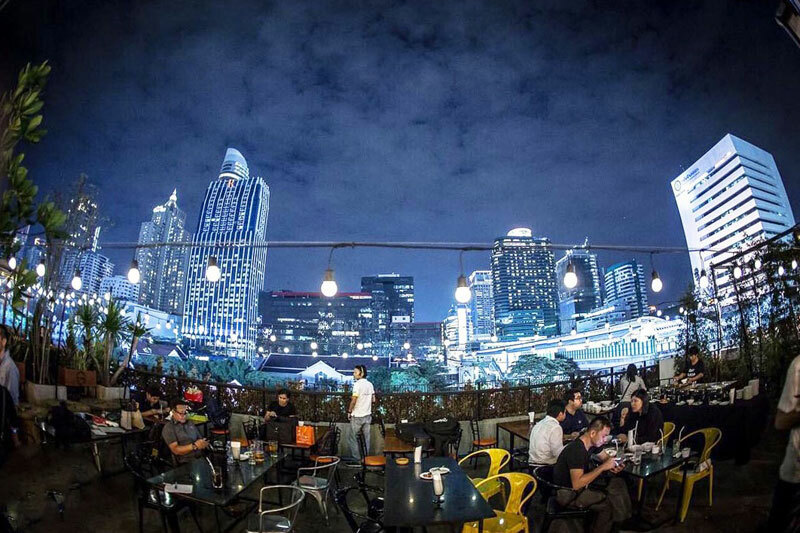 This is one of our favorite rooftop bars as it carries a very upscale urban vibe. Sitting atop the Mercury Ville shopping mall on the 4th floor, it is the perfect place to grab a martini after a long shopping day. Nestled amongst the skyscrapers in what feels like the centre of the city, you will feel like you are in a movie. The drinks are tasty, and the food filling in this upscale bar. You’ll have trouble paying attention to your friends because the scenery will keep your attention. 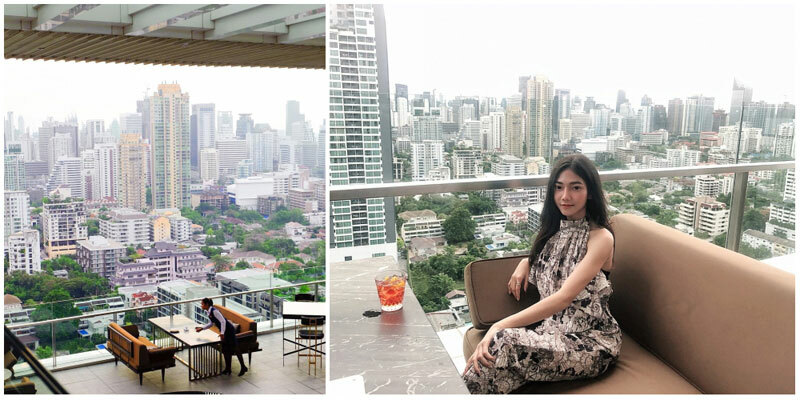 It doesn’t feel like you are high in the sky, because of all the towering high rises all around you – but you’ll love the ‘rooftop-ness’ of it all nonetheless! 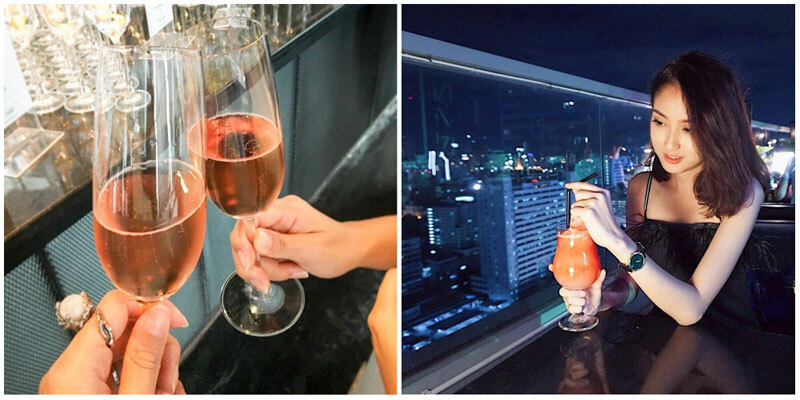 It’s easy to choose ChaiYo for a bar session with its splendid views of Bhumibol bridge and more. 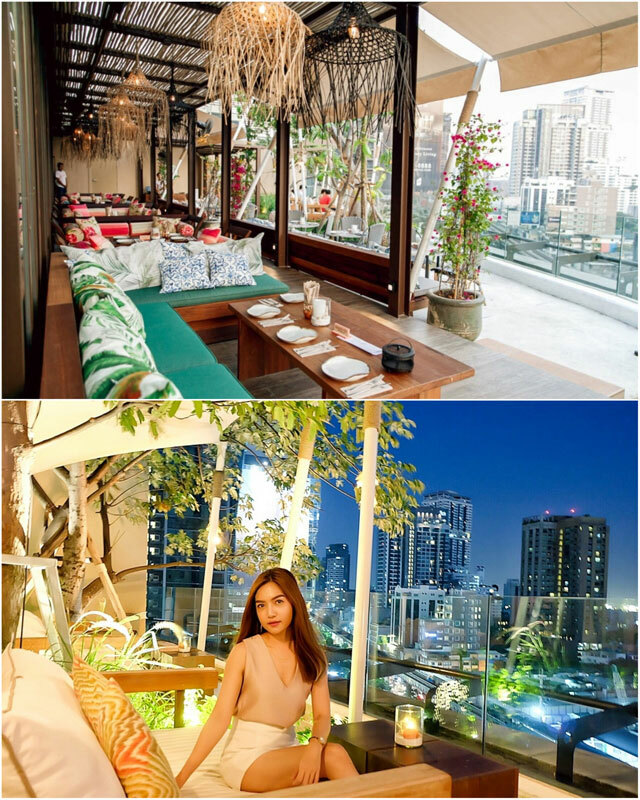 Get seated on the breezy veranda jutting over Bangkok’s lush riverside and take in the trendy industrial theme. 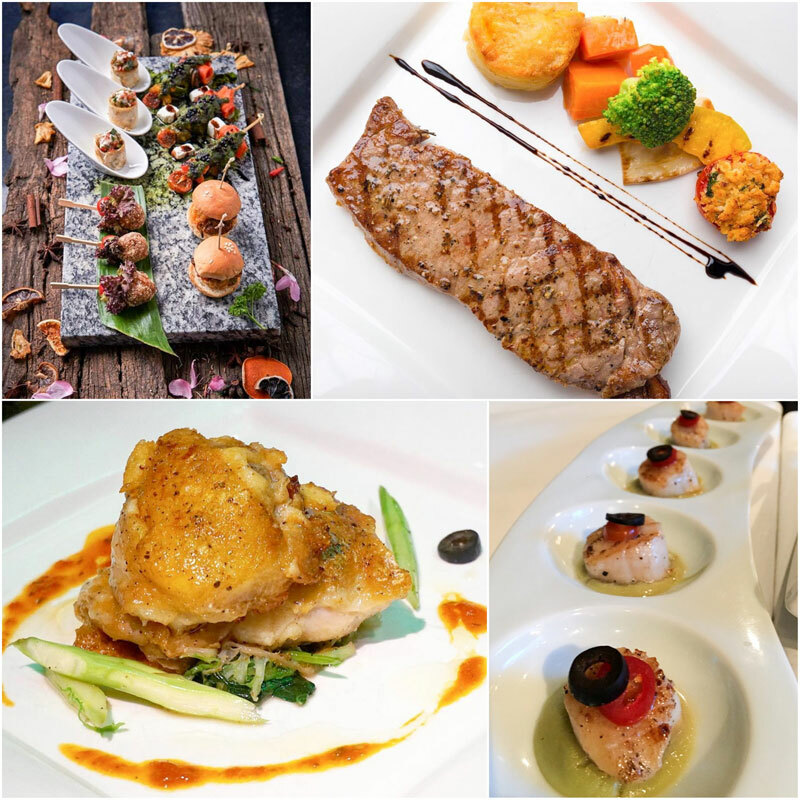 Apart from the ‘basic’ stunning features, ChaiYo’s menu provides something that will pique everyone’s interest. 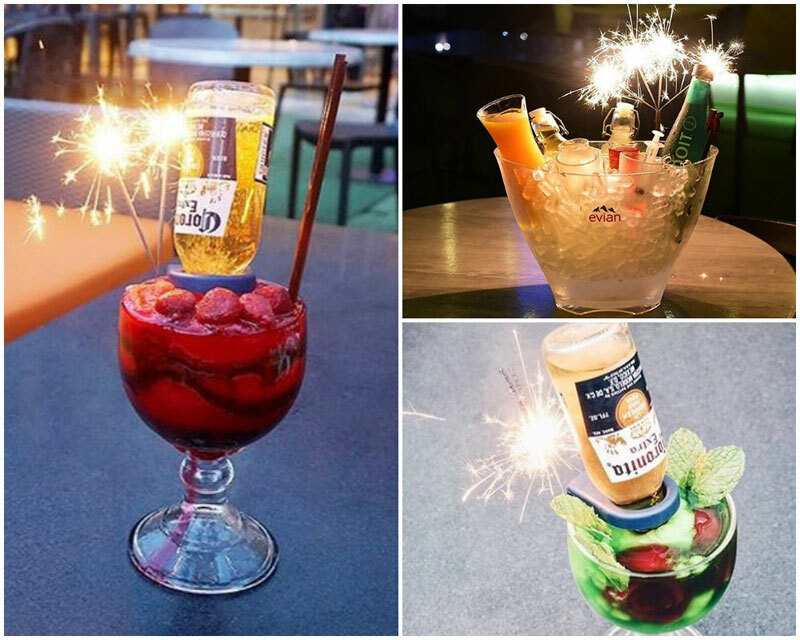 From craft beers and imported wine to your standard cocktails and colorful ice with corona bottles shoved in – they have an array of drinks to please anyone. 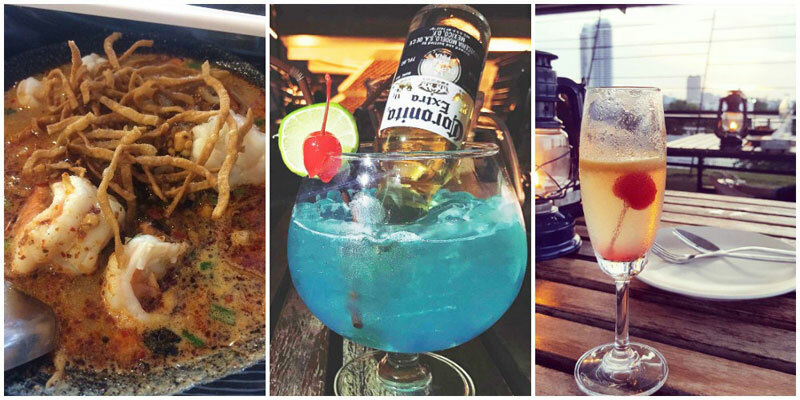 Head over and get ready for a super chill night out with great views and an even greater line-up of drinks! It’s whimsical, quirky, and definitely suits its name with the garden-like decor, mismatched furnishings, and strings of fairy lights. If you’re a dreamer, this will be your wonderland. And what a wonderful place to be drinking the night away! It’s perfect for the ladies to have a chill and chat session, with lots of cocktails ladies would love. 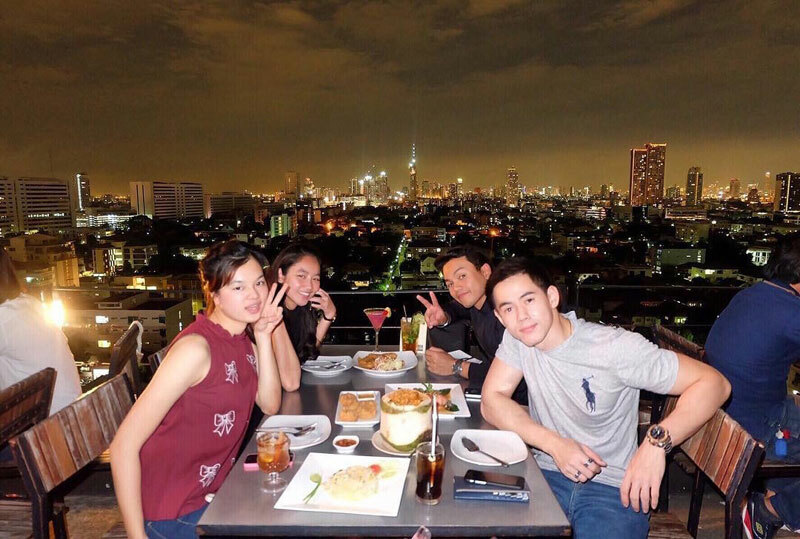 It’s also perfect for a casual date night for lovers with great photo-ops. 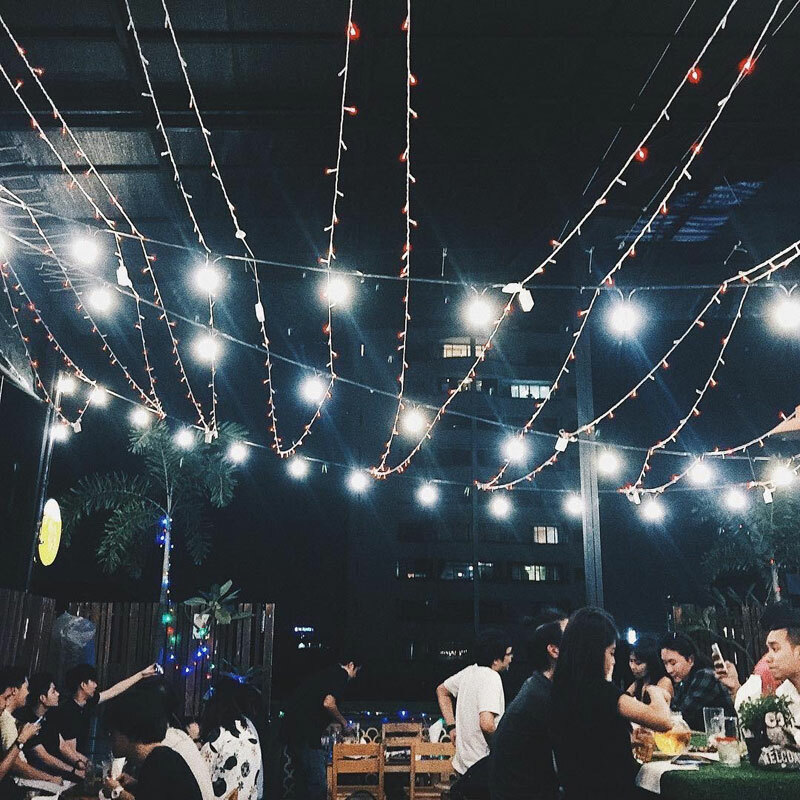 Chill to music ranging from pop-rock to electro pop – there you have it, the perfect formula, for a perfectly whimsical bar night. This is one hidden local treasure that anyone will enjoy with its casual hip atmosphere, views, and even a pool. 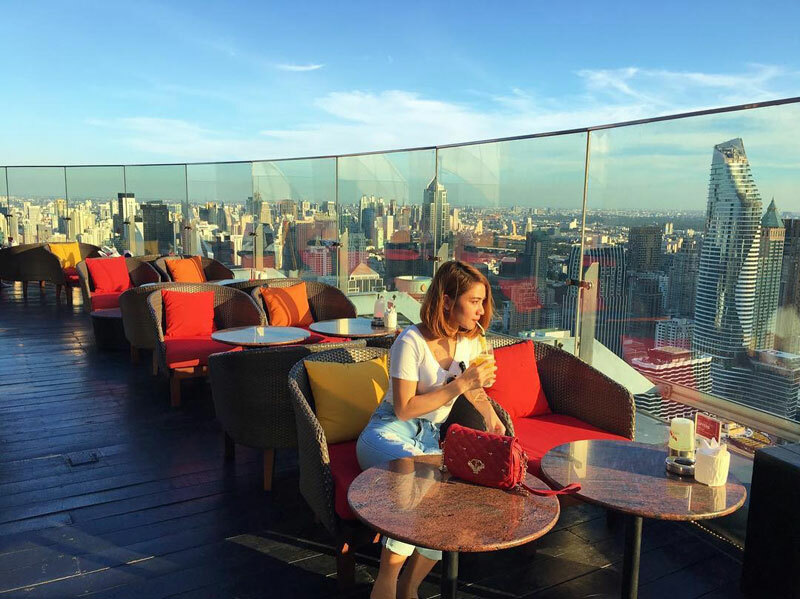 Its frequented by local university students and you can enjoy the twinkling rooftop views from 2 floors – the open patio and the lower level. Yummy Thai food is also offered here from Stewed Beef fried with Basil to Crispy Catfish with Basil Sauce. 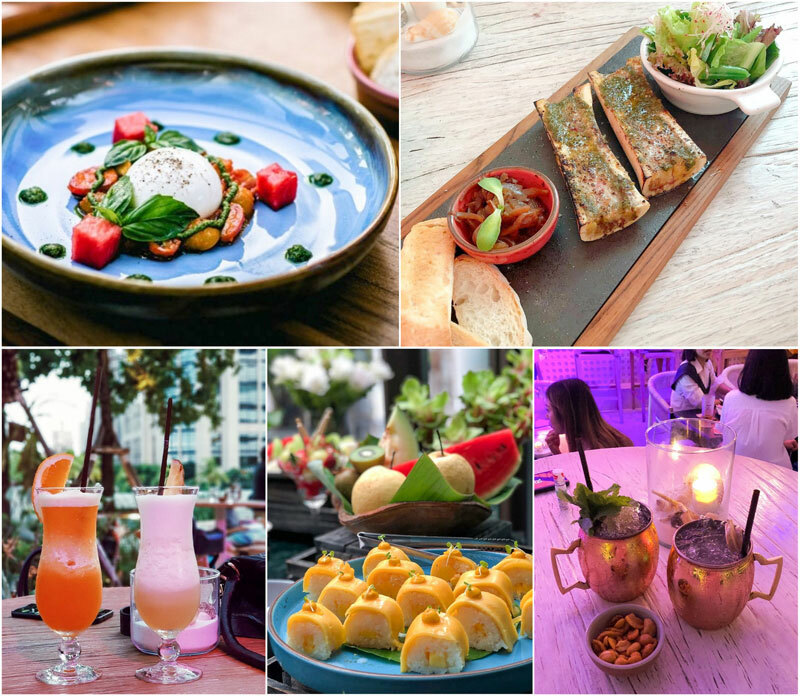 Legend Roof Bar is brimming with chill from its gorgeous setup (including a shimmering pool) to the delicious food and gorgeous views! There’s live music available too so it’s always lively and upbeat here! PS: If you’re a soccer lover, you’ll be delighted to know that they screen live weekend matches here too. 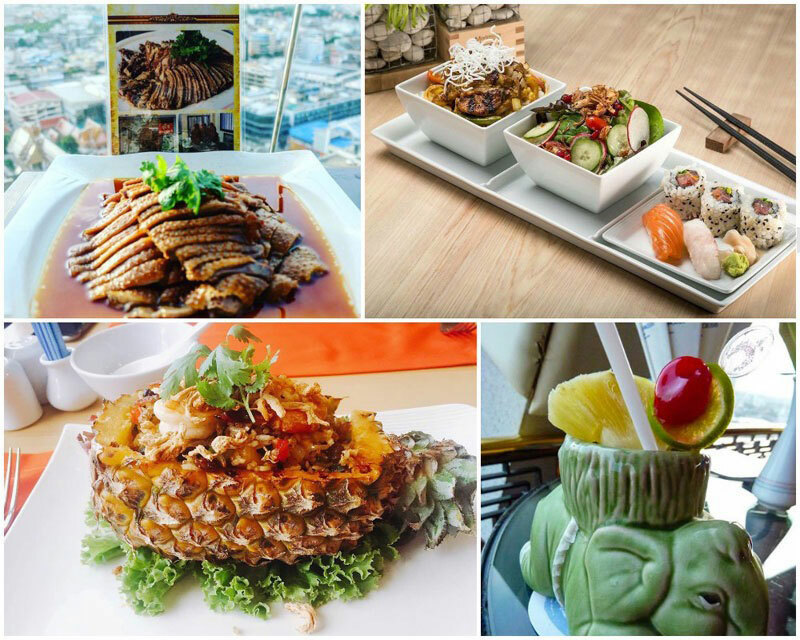 One of the best things about Thailand is the incredible food at unbeatable prices. 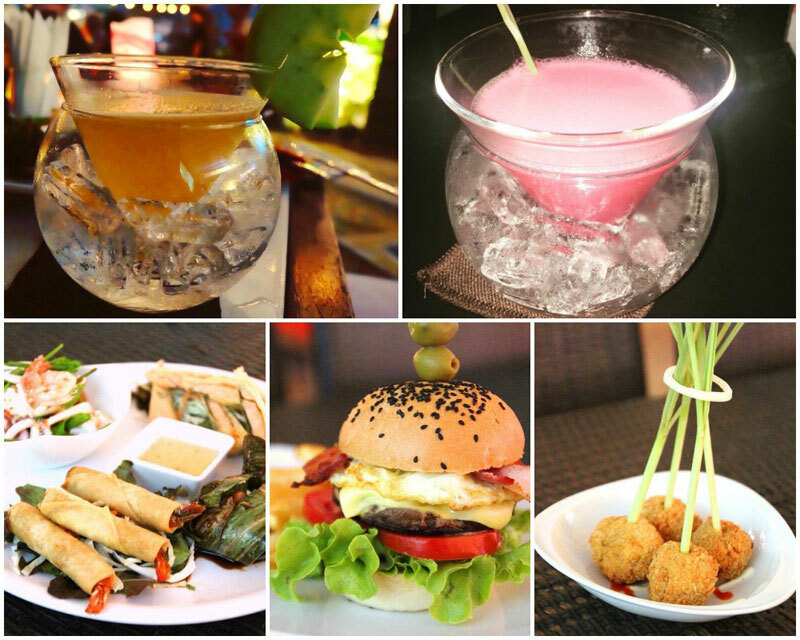 This restaurant is just that, affordable but is guaranteed to wow you with the tasty cuisine. This fifth story rooftop patio is great to come to as the sun sets where you can enjoy a candlelit dinner. 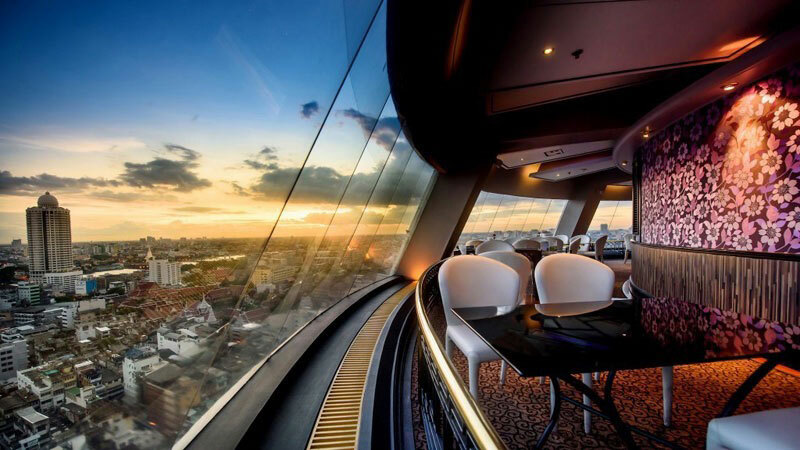 Settle in for a laid back and romantic night with your special someone at this restaurant where you can even climb up an extra floor with a great view of the night sky. Pull up a cushion and sit close to your partner with the extra low tables and floor seating. With two levels available for patrons to choose from, you will feel the intimacy at this restaurant feeling like you are one of the only tables in the bar. This known and absolutely fabulous bar is one of a kind. 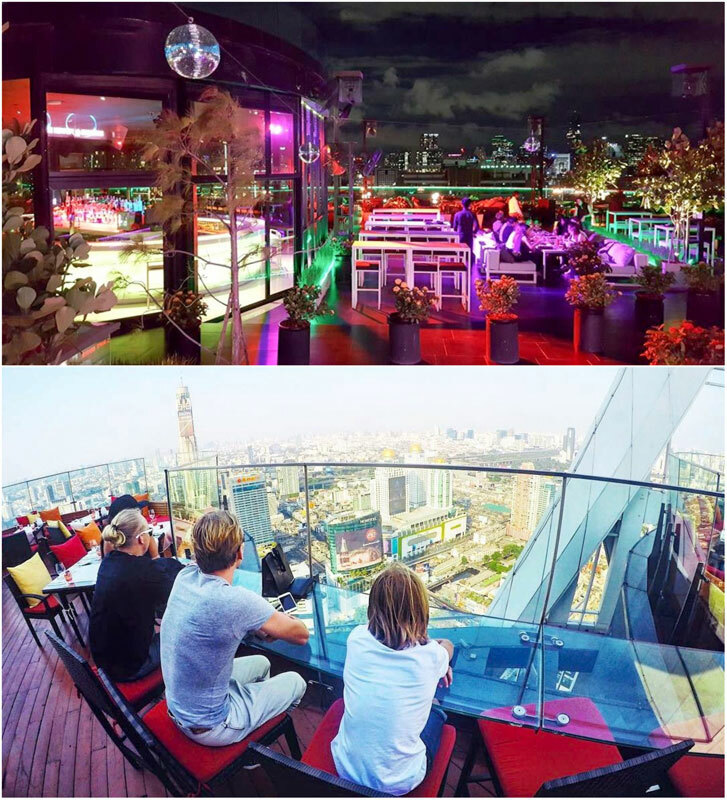 One of the most famous restaurants and club is Red Sky, largely due to it’s colorful arch and spectacular parties. A large dining area during the day turns into a bumping dance floor at night. 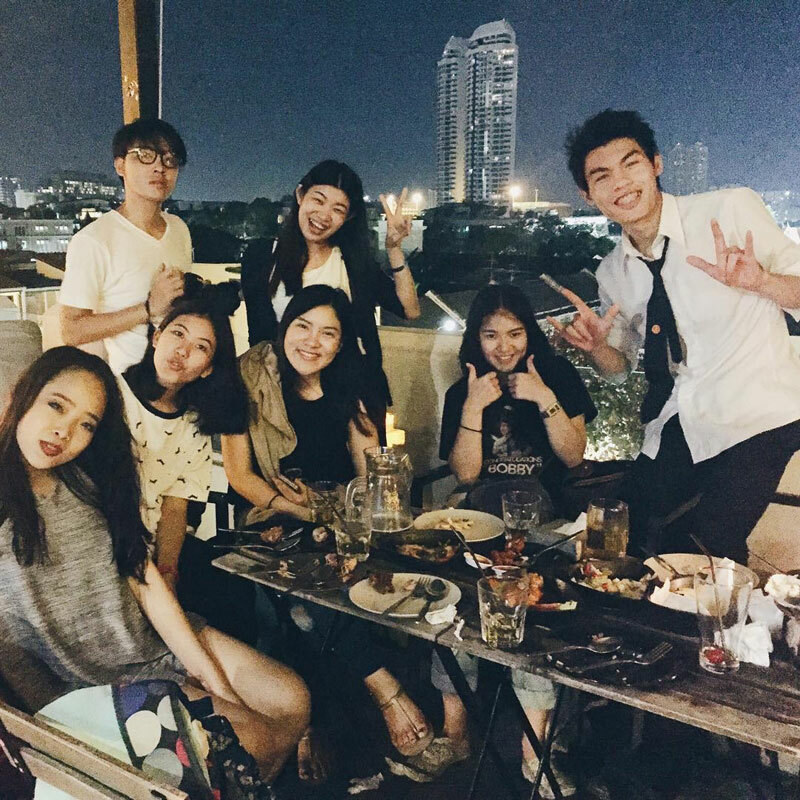 These parties can be heard throughout the streets of Bangkok. 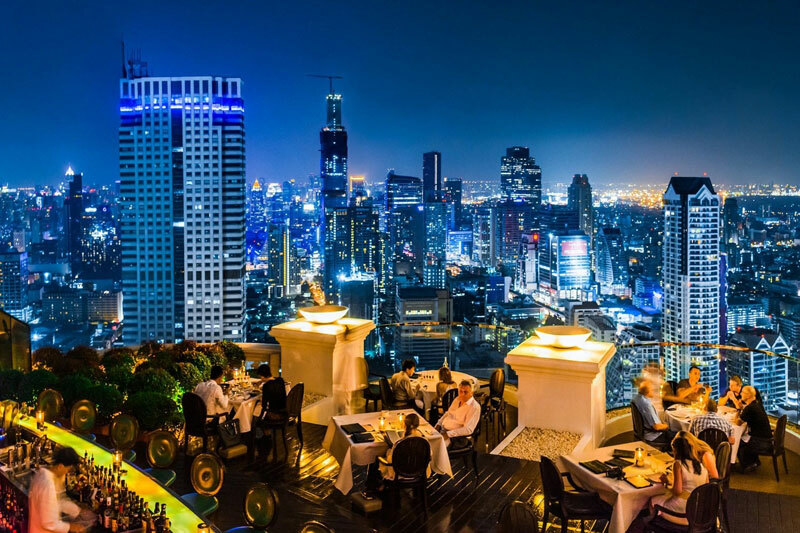 Located near the heart of Bangkok you will be able to see the whole city from the perch of this rooftop bar. 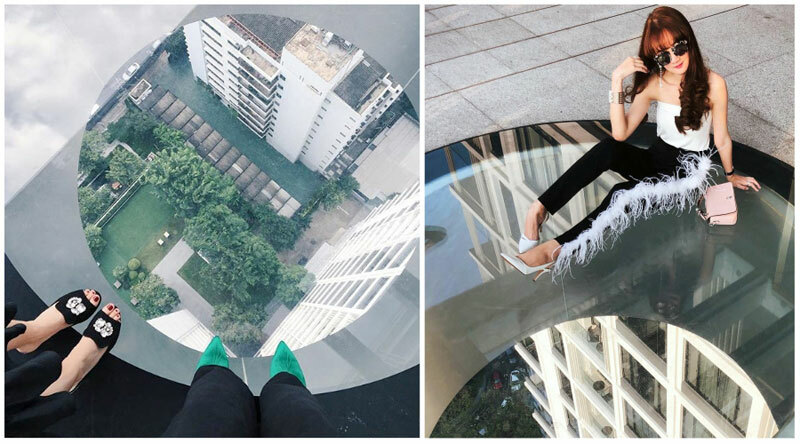 We hope you aren’t scared of heights as it sits on the 55th floor and features 360 degree views – through large seamless glass which allow you to have a bird’s eye view of the city, to scope out your next adventures. The drinks are cold and the staff is friendly. 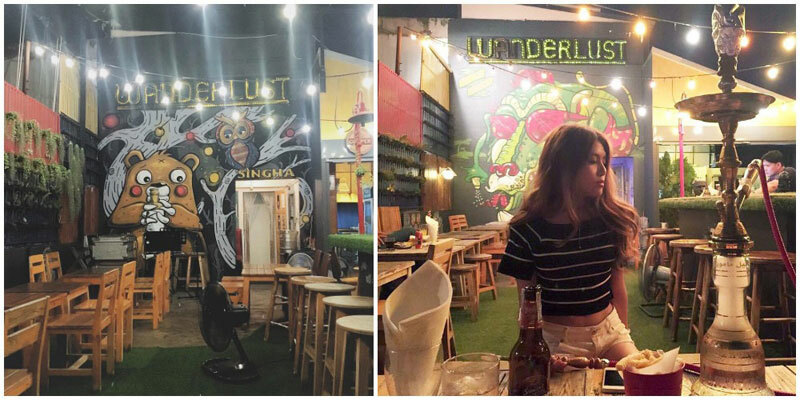 Shop during the day and party all night at this bar. 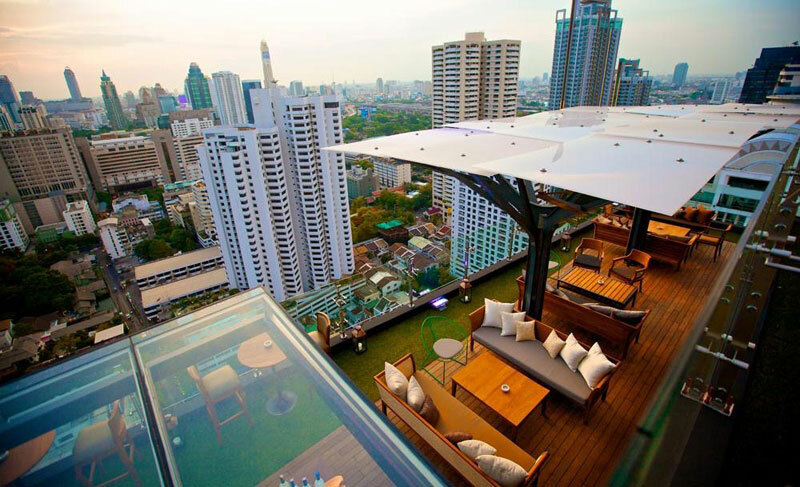 PS: We recommend going down during happy hour to get the best deal for this incredible 5-star rooftop bar experience! 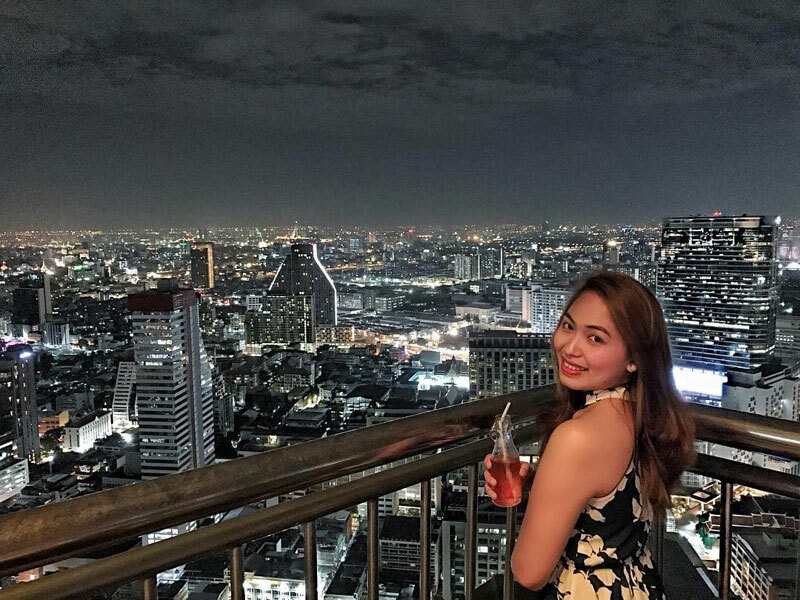 If you’re looking for a night out with all the perks; city views, all the lights, and all the vibes, Heaven Rooftop bar is just the one for you. 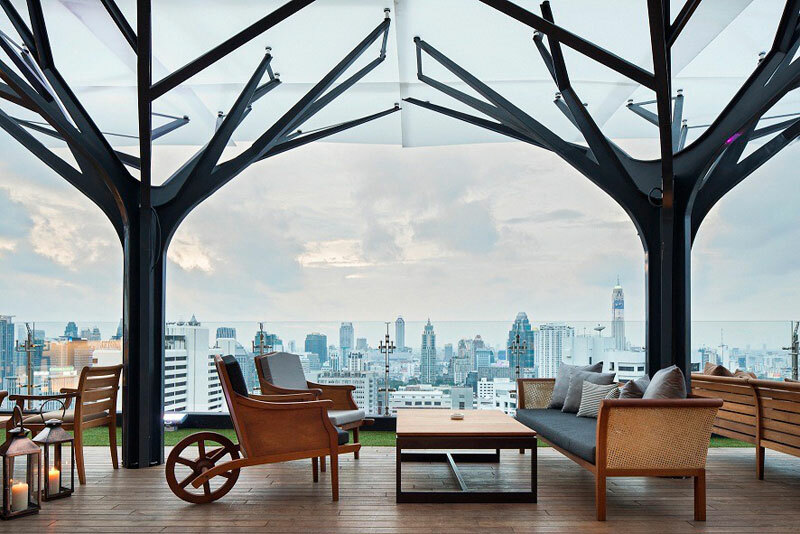 With it’s 360 degree panoramic view of Bangkok’s skyline, this space has been designed to impress, staying sophisticated, yet fun. 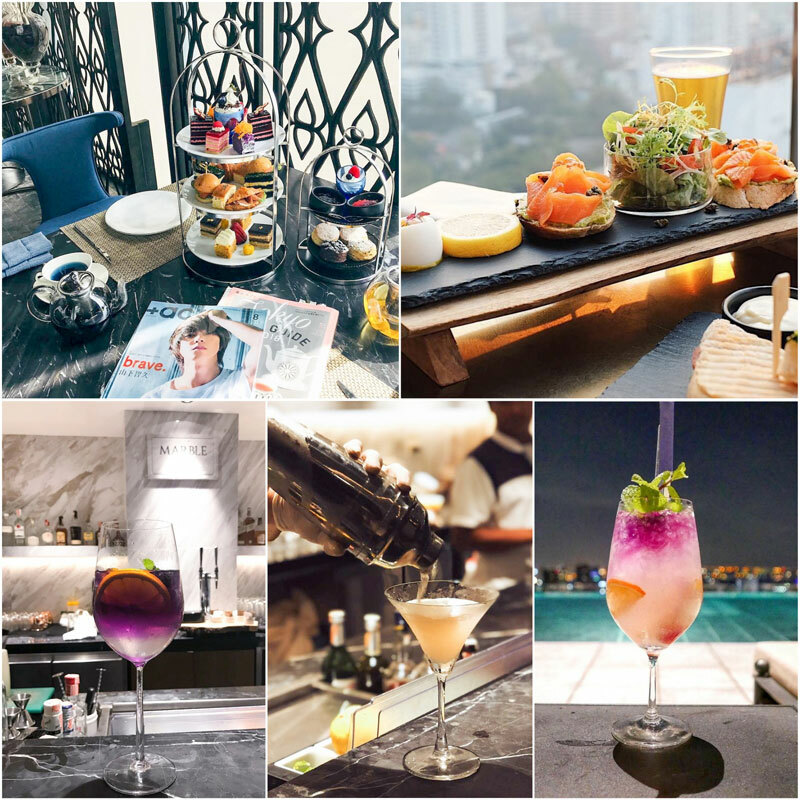 They’re well-known for their French champagne – if that’s your thing – but if not, their array of delicious cocktails will definitely do the trick. 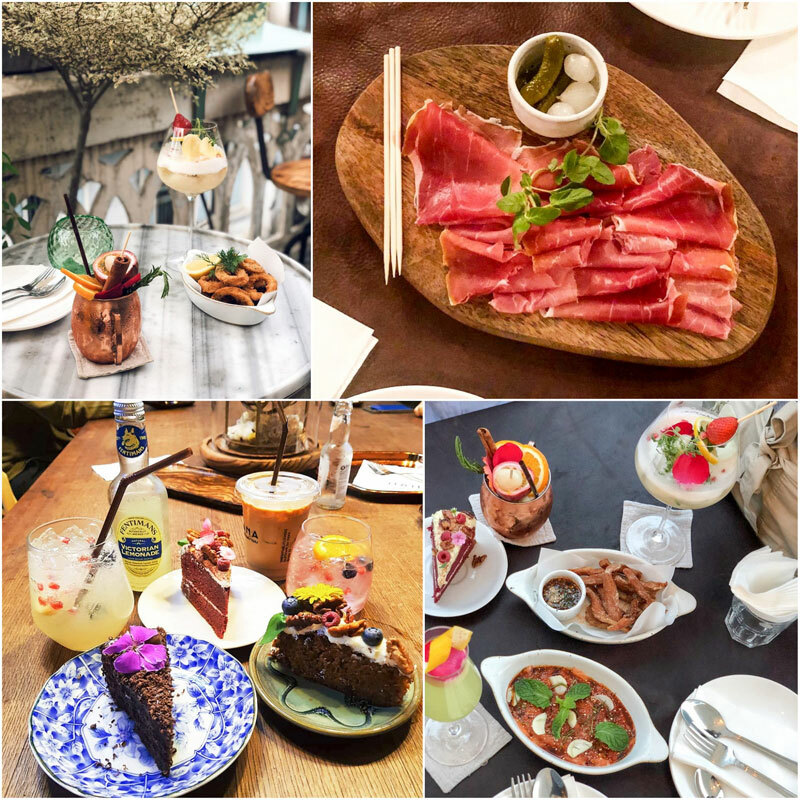 If you’re wanting to line that stomach before the night begins, they have dishes from around the world, think Thai, Italian and tapas. Things really start to pick up a notch around 9pm, when the bubbles and dancers come out – so if you’re wanting to have a relaxed meal, I would suggest eating before then! Resident and International DJ’s take to the decks, where the electronic beats swing around. So if you’re in the mood for a bit of a boogie, Heaven’s it. This is a highly recommended bar, and some has called it the best bar in the world – Breeze Restaurant was also named one of the most cutting edge restaurants by USA Today. The sights are something pictures just can’t do justice, and despite its pretty pricey drinks, this is why we simply had to include it here. 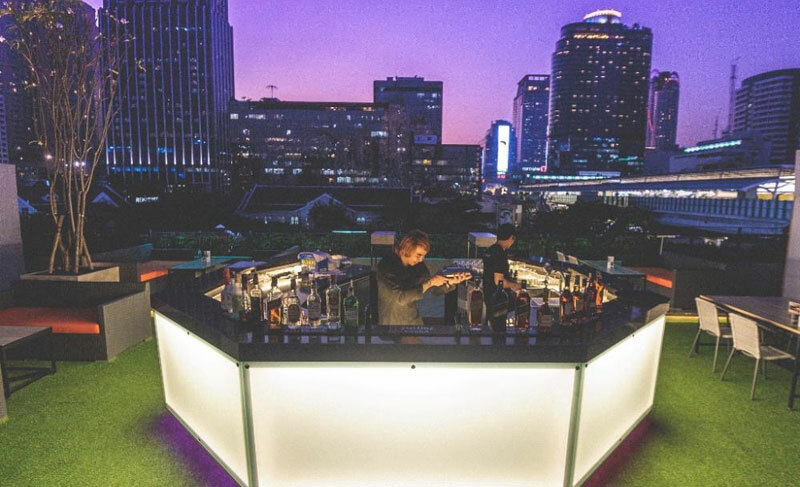 The unique thing about this rooftop bar is the ultra vibrant and artsy design. Walk along the raised catwalk and watch it change colors underneath your feet. If ultra modern aesthetics won’t impress you, just try the food that their award winning chef will make you that you can’t help but love. 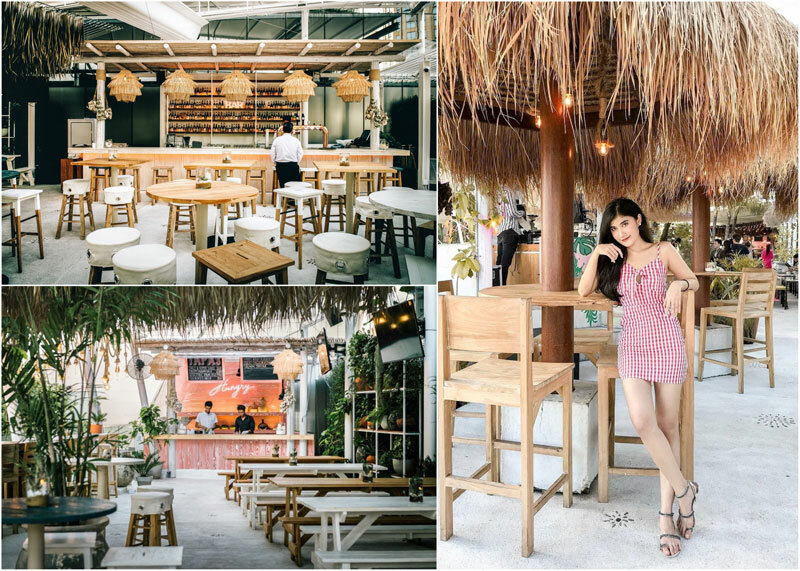 True to Thailand style, you are sure to get the whole experience that this vibrant city offers with this upscale and rave-style bar. Because hey, who says you can’t have it all? PS: Up for something fun? Learn the art of mixology and mix up your personal concoction with Experiment, the cocktail concoction that’s all yours. Even better, the staff will be there to guide you through your mixology tutorial – and teach you all about the different layers and ways of blending tastes into something especially perfect for your palate! 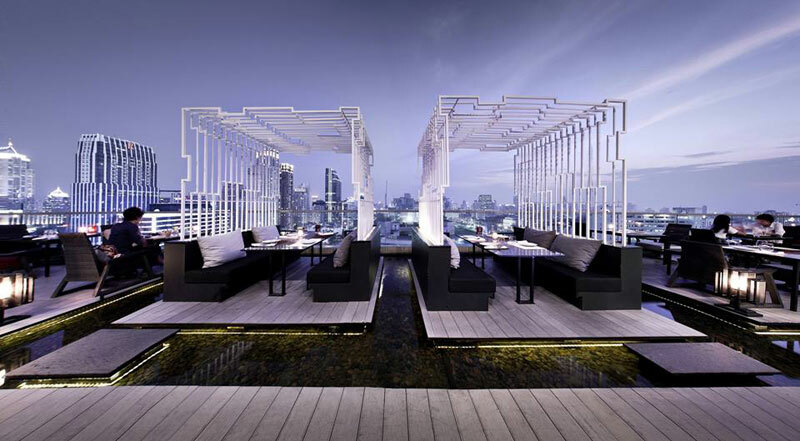 With 360° views of Bangkok you are guaranteed to impress your friends with this find. 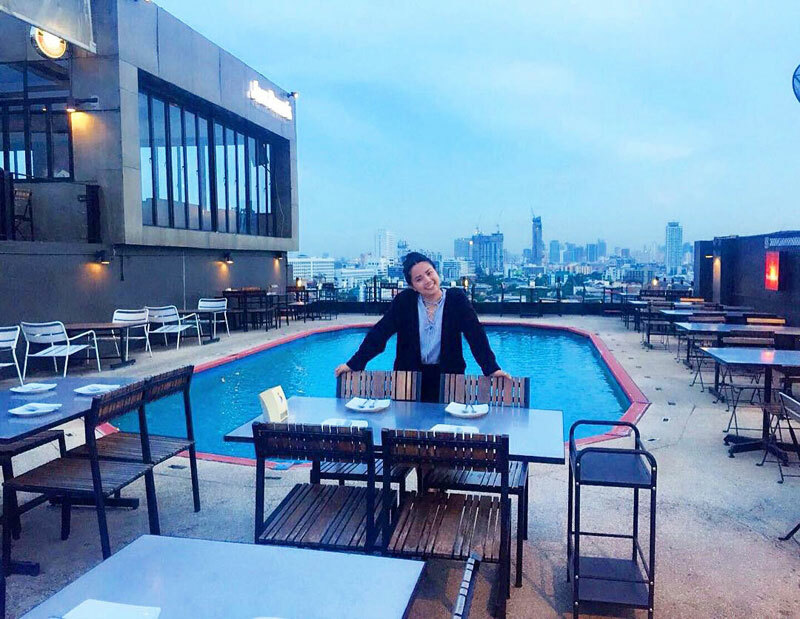 Voted one of the top rooftop places in Bangkok, this is one rooftop bar you can’t miss! Take a drink to calm your nerves sitting atop the United Center office tower Cloud 47. 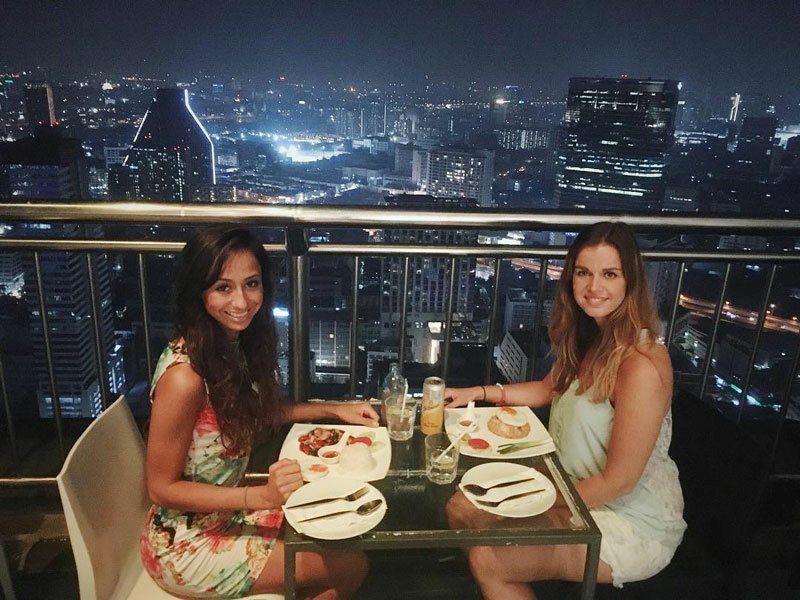 The stunning city view will take your breath, and if that doesn’t the delicious food is sure to. Getting a beer will leave you free to dance the night away with the impressive live concerts. Great music is not all you will find, this casual bar turns into more of a club as the night progresses. Take a trip off the beaten path to this party in the clouds. 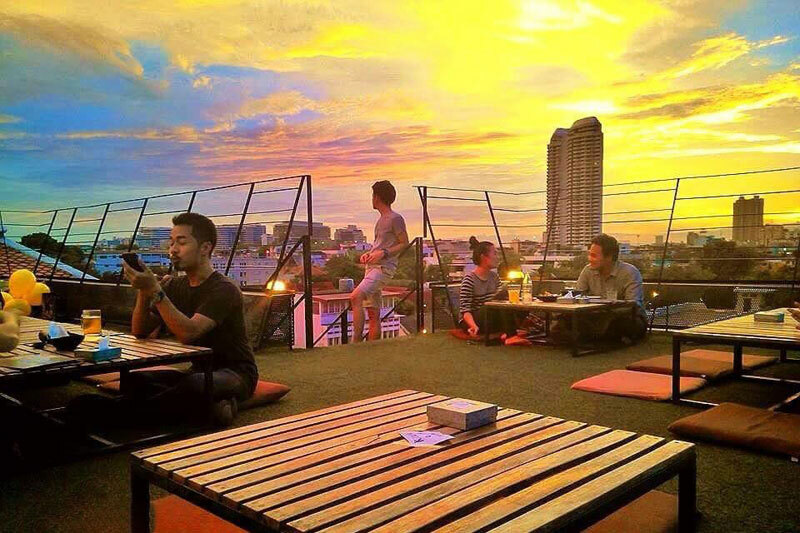 Traveling to Thailand and looking for a great place to chill with drinks? 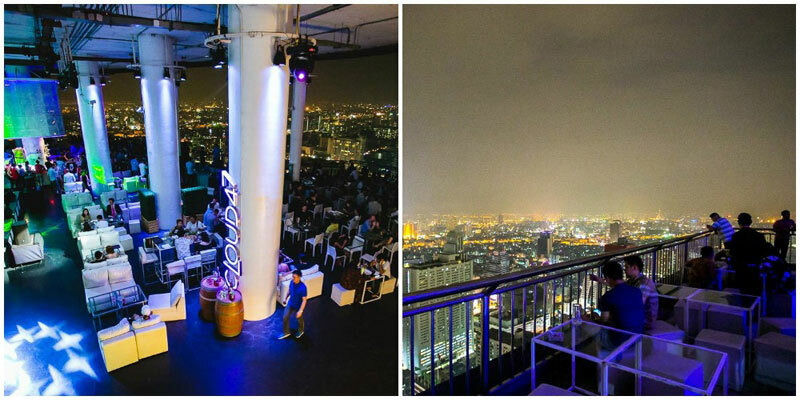 Be sure to check out these bars that sit in the sky giving you an unobstructed view of Bangkok! Been to any of these places? Let us know what you think in the comments below!